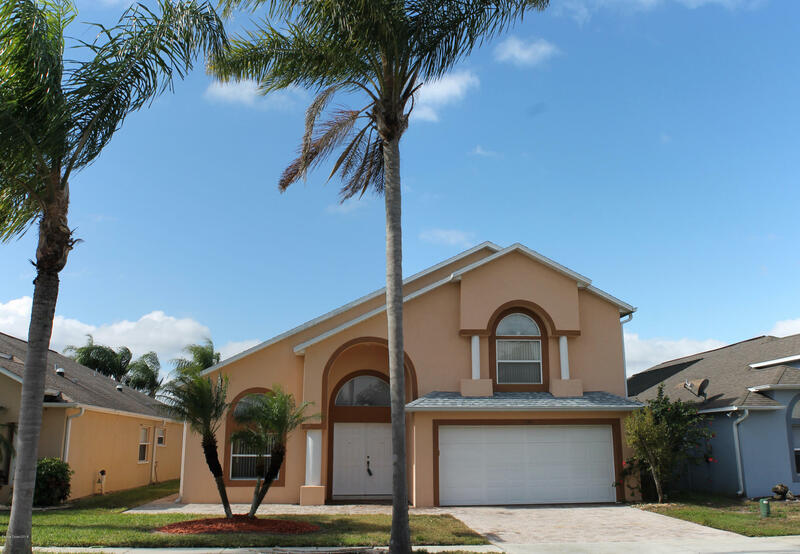 Spacious & airy lakefront pool home in popular gated Sunset Lakes! Floor plan offers soaring ceilings w/ tiled living areas great for entertaining! New roof in 2018! Light & bright kitchen w/ breakfast bar & nook area + add'l desk! Unique set up w/ 2 master suites on the 1st floor + large upstairs loft offered as 3rd bedroom (seller agrees to drywall in & install door if desired at seller's expense)! Beautiful sunset views over the pool & lake from the screened patio area! Add'l features incl paver driveway & pool area + sidewalk to the back of the house! Fenced yard! Very family friendly community w/ playground, basketball & tennis courts, walking trails & river pier in sister community to the west!